Keith Country Show, Scotland, 12th August. 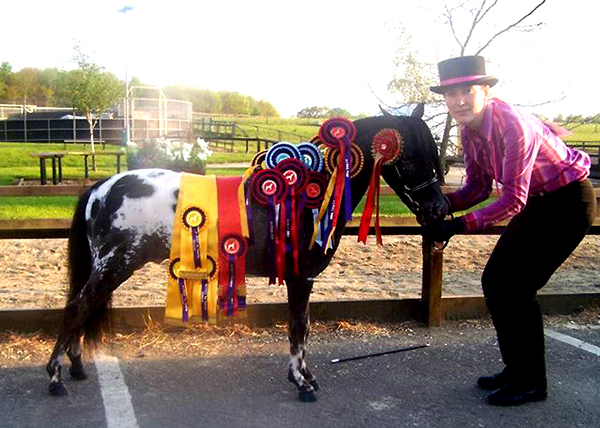 Took First in the Coloured/Spotted class. Owned and shown by Pauline Young. 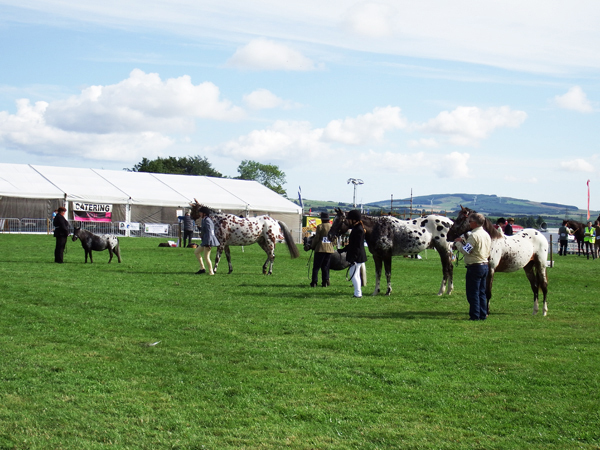 Banchory Show, Deeside Agricultural Association, Saturday 28th July. 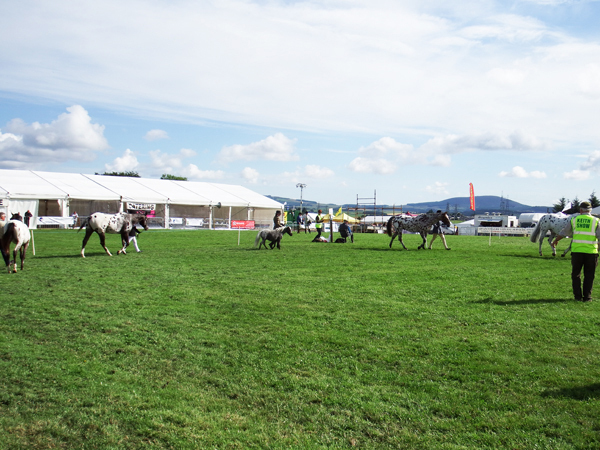 Atlas took first in the Coloured Horse or Pony, 1, 2 or 3 year old in-hand. 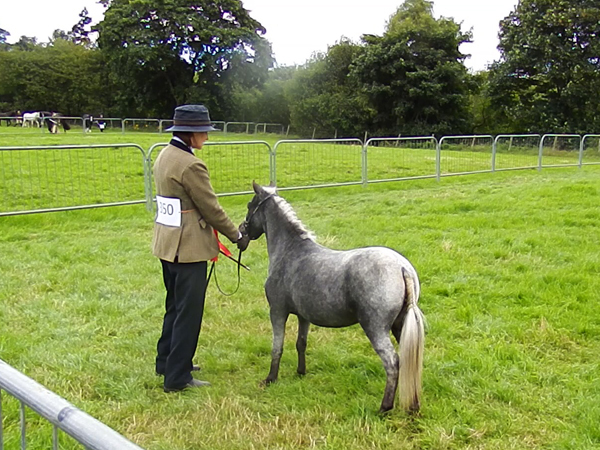 any age in-hand for the Champion Rare and Foreign Breeds. The show was held in torrential rain. 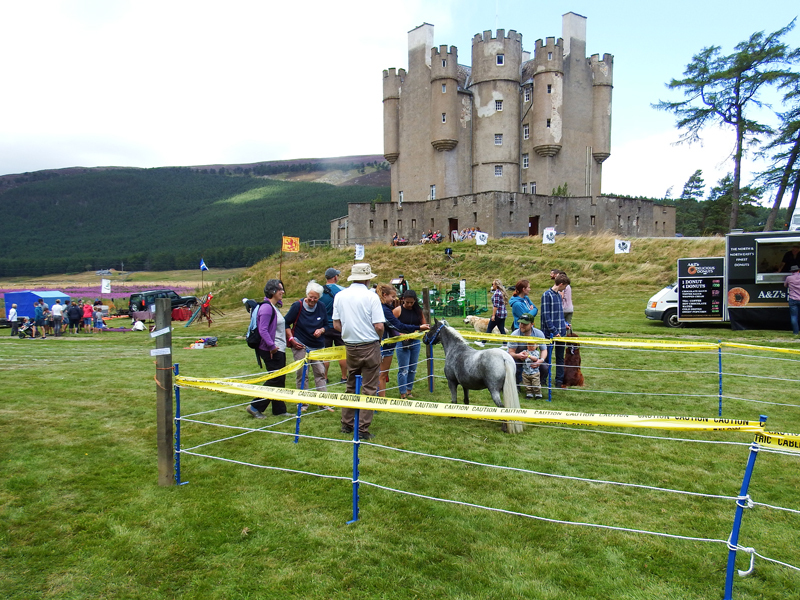 Took part in the 'Highland Fling' at Braemar Castle on 22nd July. 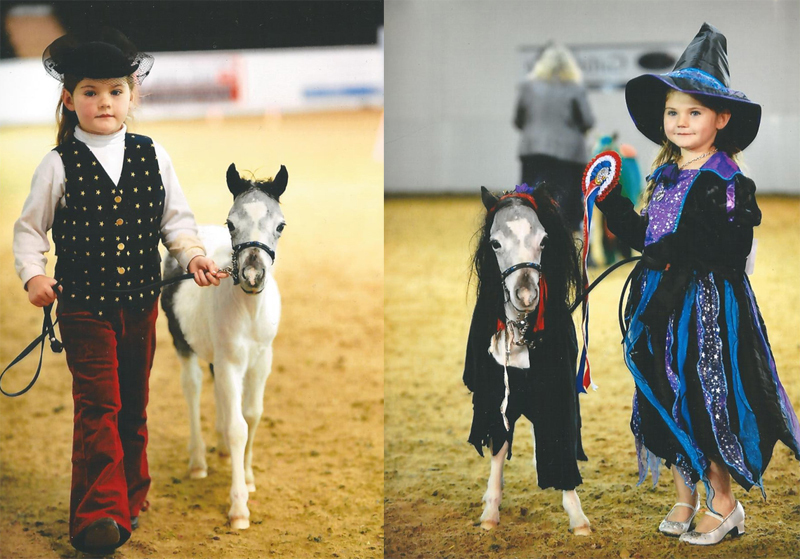 Ladyleys Riding Club Spring Show, Oldmeldrum, Aberdeenshire 29th April 2018. 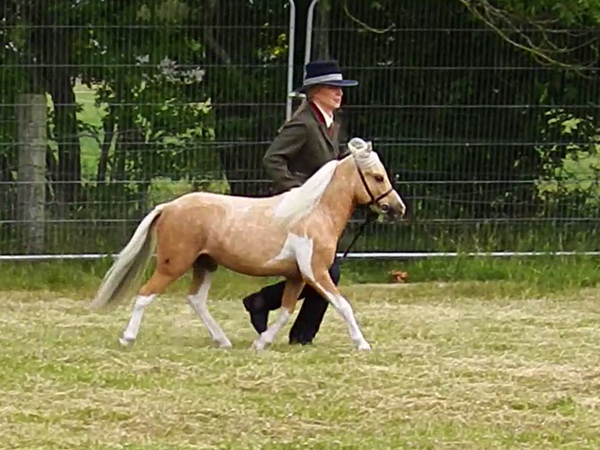 Took First in the Coloured/Spotted class (eight in class) and went on to take Reserve Champion. Keith Country Show Scotland 6th August 2017. 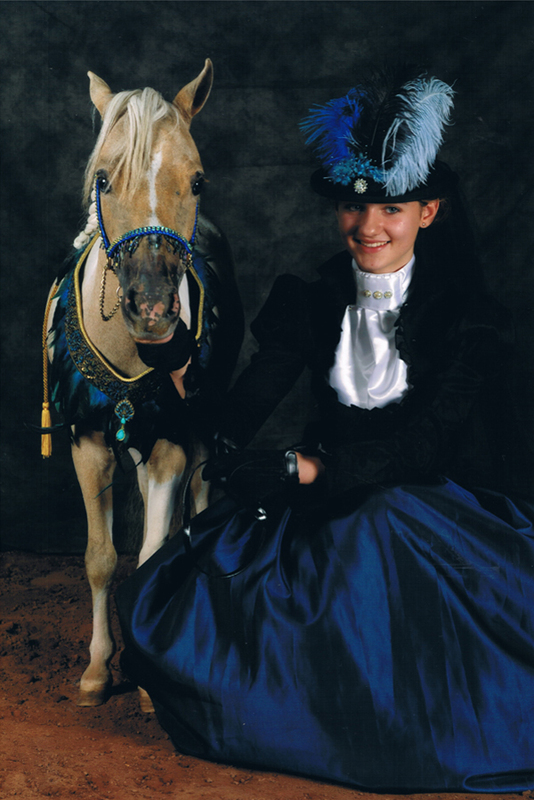 Equuleus Cavatina took first in the Appaloosa or Spotted Horse / Pony in-hand class. 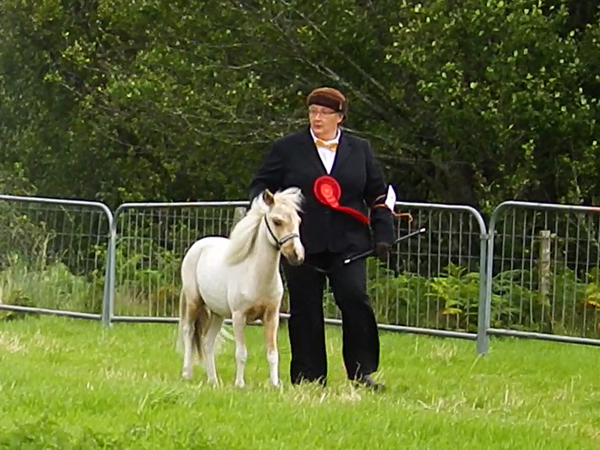 Owner: Pauline Young, shown by Ruth Hardie. 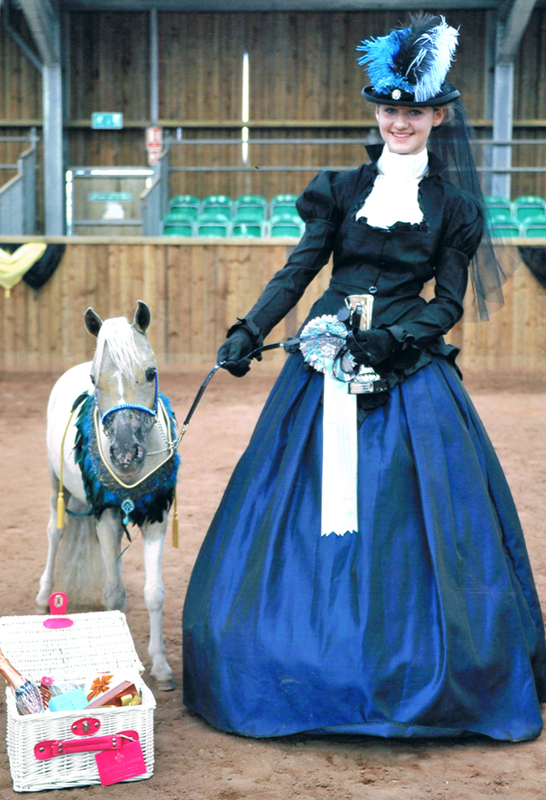 Equuleus Cecilia took third in the same class, both Falabellas competing with full size horses. 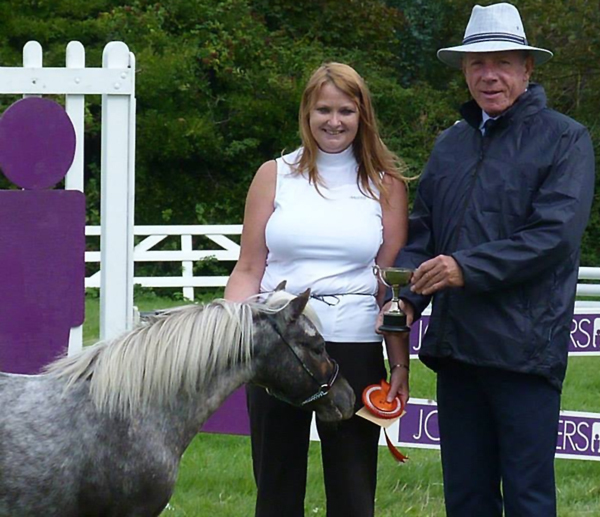 Equuleus Cavatina took Reserve Champion within the Coloured Horses and Ponies Section. 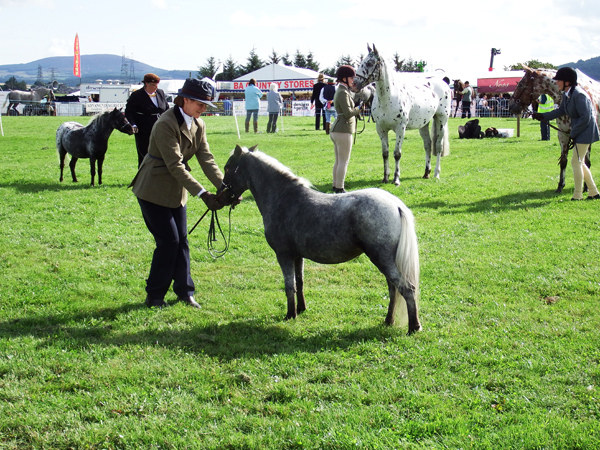 Banchory Show (Deeside Agricultural Society) 29th July 2017. 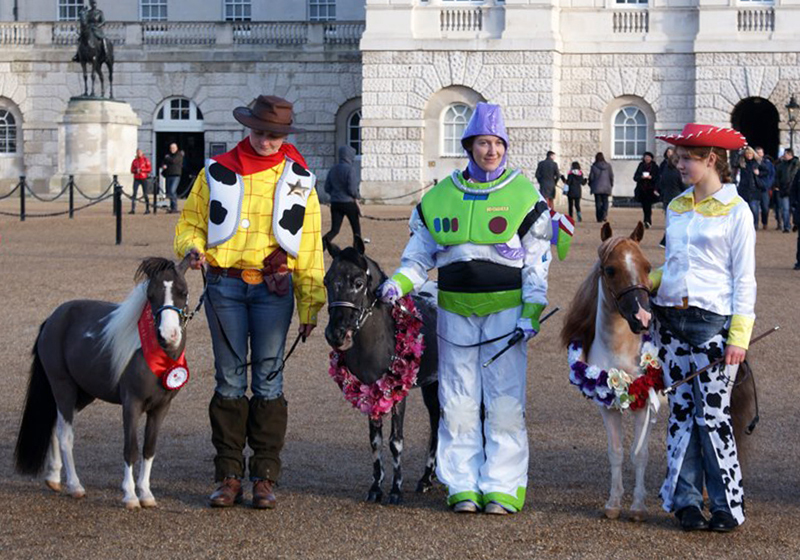 Atlas of Fort took first in the Coloured Horse or Pony, one, two or three year old of any height. 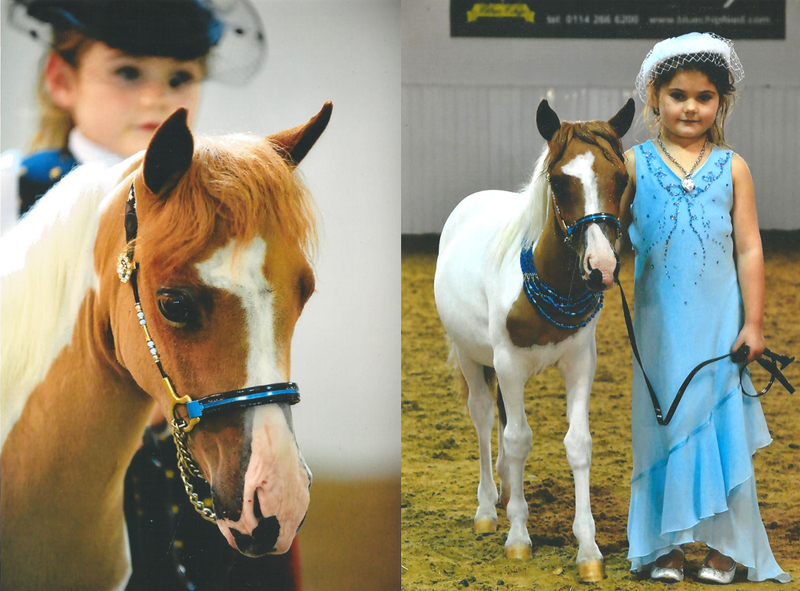 shown in-hand class - colt, filly or gelding 2 or 3 year old. We will be sponsoring a limited number of shows in 2019 with £100 Feedmark vouchers. 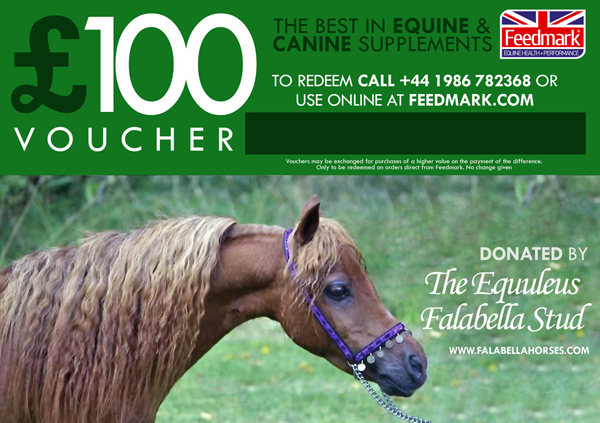 Vouchers will only be offered to shows hosting dedicated Falabella classes for genuine (100%) DNA tested Falabellas. They must be on either of the two authorized Falabella studbooks (The BFS or FSE) or the IMHPS Register 1P only. 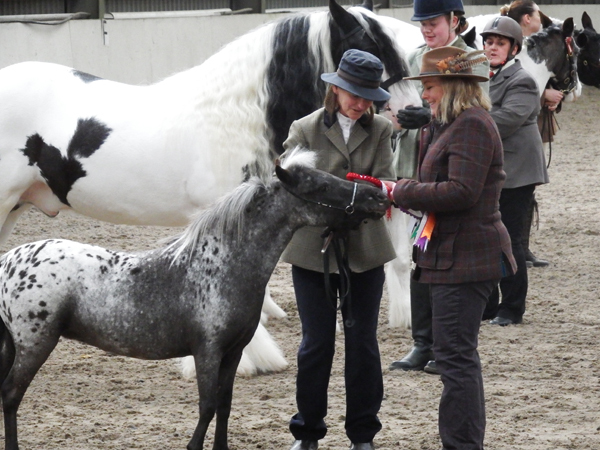 took second place to Equuleus Nightshift (below) in Miniature and Foreign Breed. 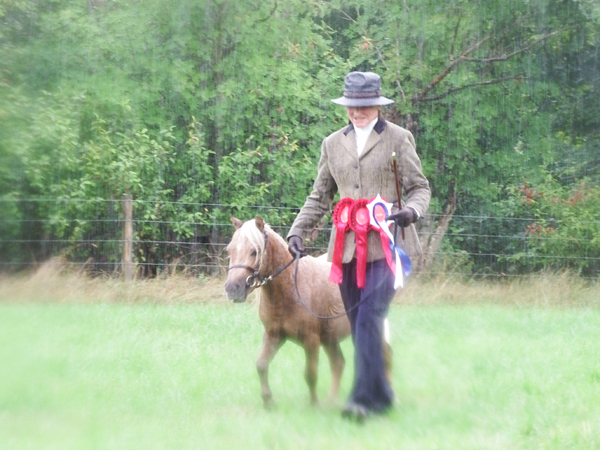 first place in Miniature Horse in Hand, Reserve Champion In Hand under 86cms. 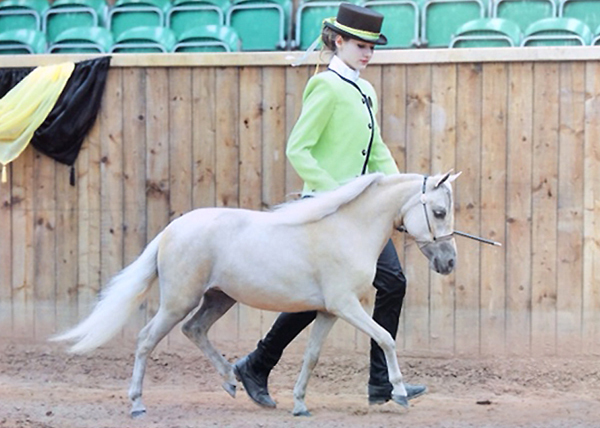 Falabella Europe Mare and Filly Inspection Show Holland 2015. We were pleased to sponsor this show with £100 'Feedmark' vouchers. 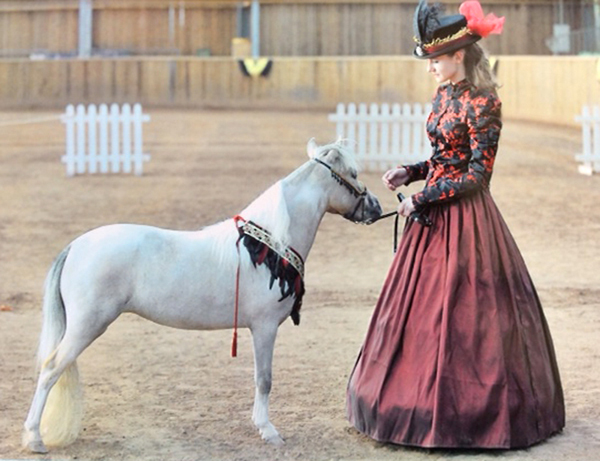 won first prize in the three year old appaloosa mare under 86 cms class, shown by Guilia Stoel. 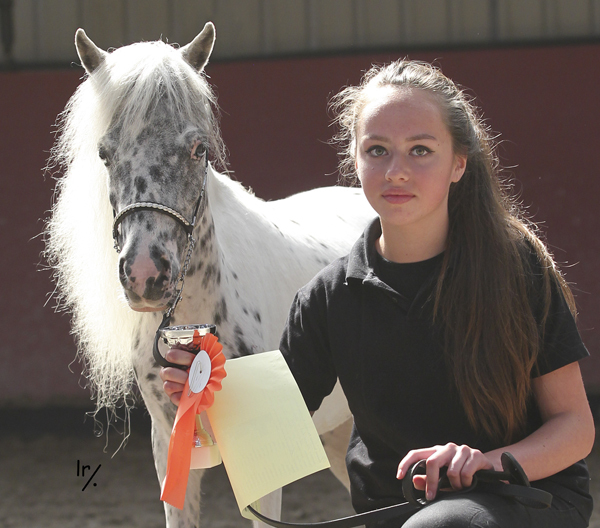 won first prize in the four years and over, appaloosa mare exceeding 87 cms class, shown by Esmee Stoel. 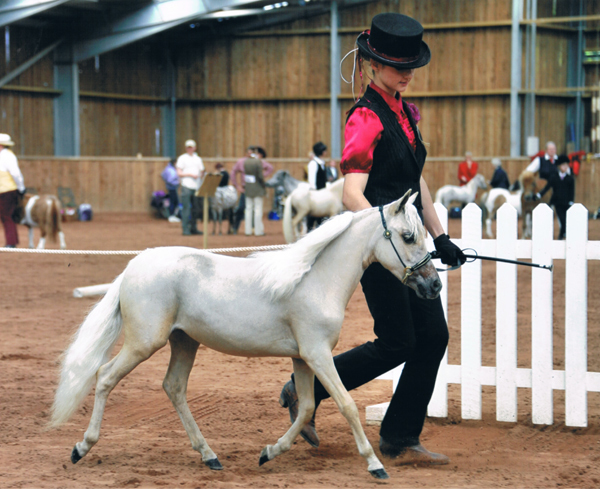 Fiesta was also crowned European Champion Mare. The MHS UK/USA Supremacy Show 2015 at Oakridge Arena on 31st May. The UK & USA Supremacy Show, Oakridge Arena. came third in Concours d'Elegance at The UK & USA Supremacy Show, Oakridge Arena. took second in the Young Handler class at The UK & USA Supremacy Show, Oakridge Arena. The MHS UK/USA Supremacy Show 2014 at Oakridge Arena on 1st June. 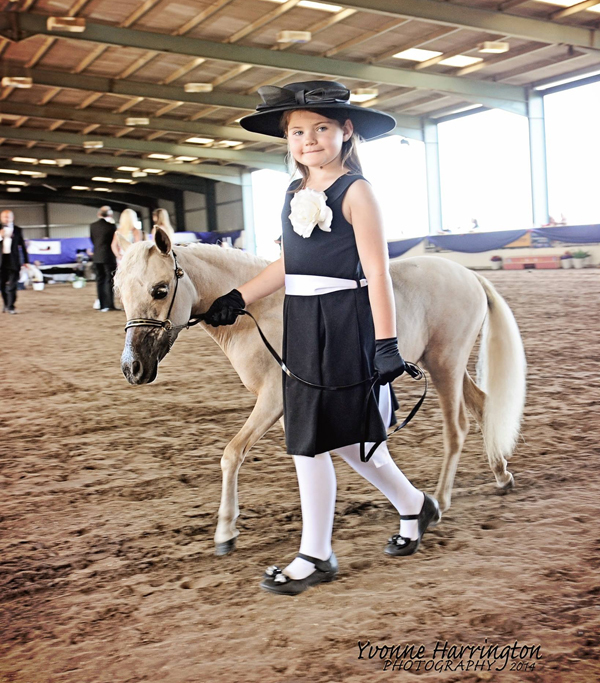 Miss Bojena Lewis won the 'Concours d'Elegance' and 'Falabella 2 and 3 year old' classes. 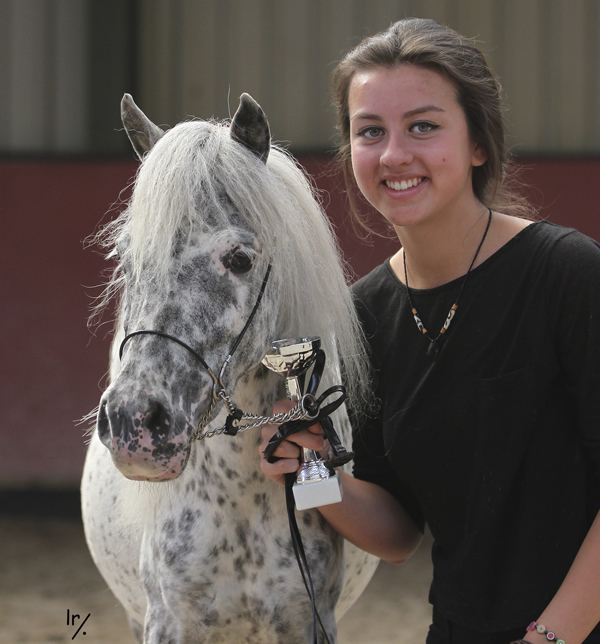 Miss Bojena Lewis won the 'Falabella Yearling' and 'Most Beautiful Head' classes. 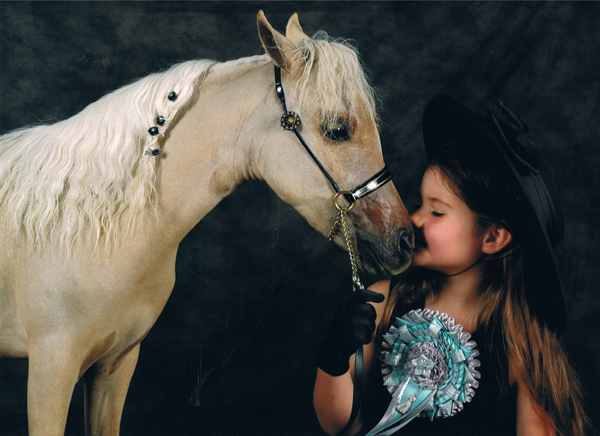 Esplendida is pictured here with 5 year old Miss Alice Lewis. 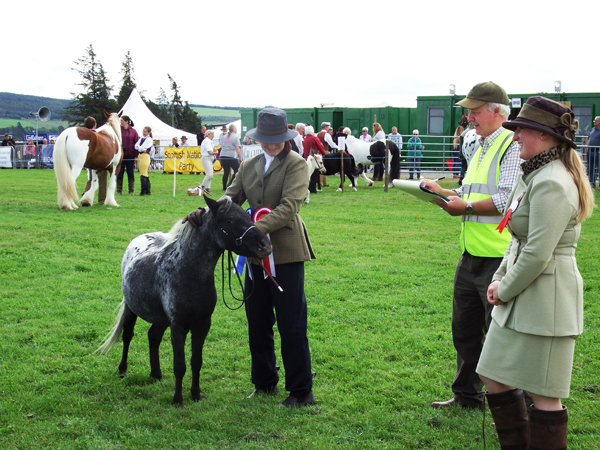 came third in ‘Most Beautiful Head’ and third in ‘Falabella Yearling’. 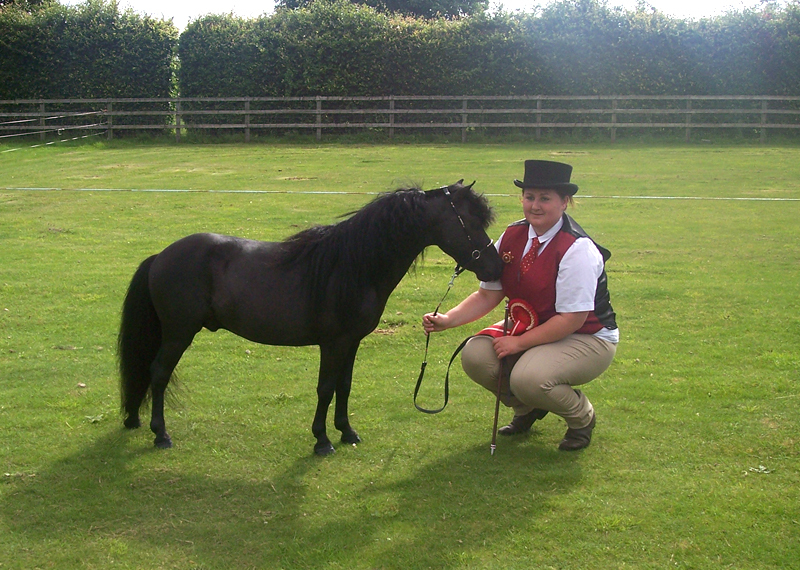 at The Showcase of Champions show on the 4th, 5th and 6th of July. at the Southern Miniatures show on 12th July. 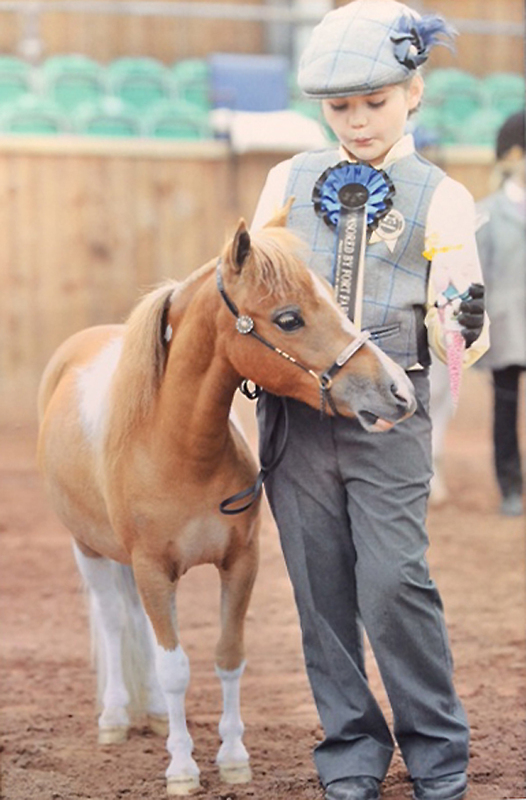 Oliver Twist of Fort won the Jumping class at the Southern Miniatures Show. 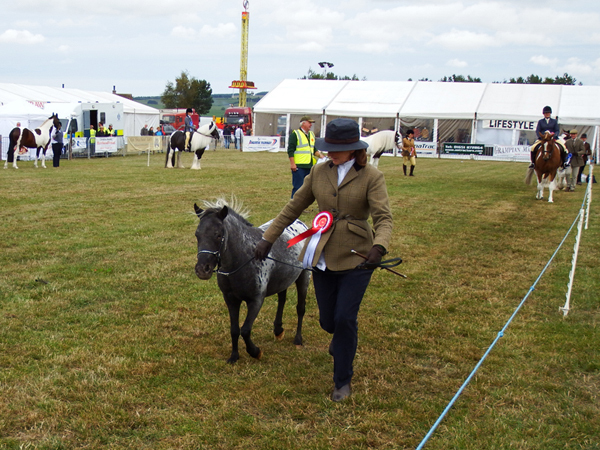 Kinsky Mini Pikolino came second. 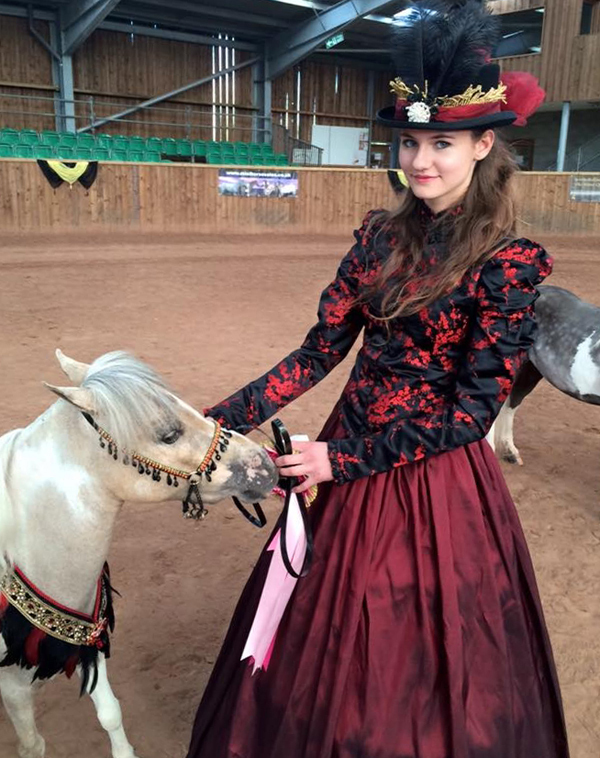 Minette of Fort (by Limelight’s Indian Warrior ex Falabella Niebla) represents the Falabella Miniature Horse at the Pet Exhibition in Bluewater, Kent. 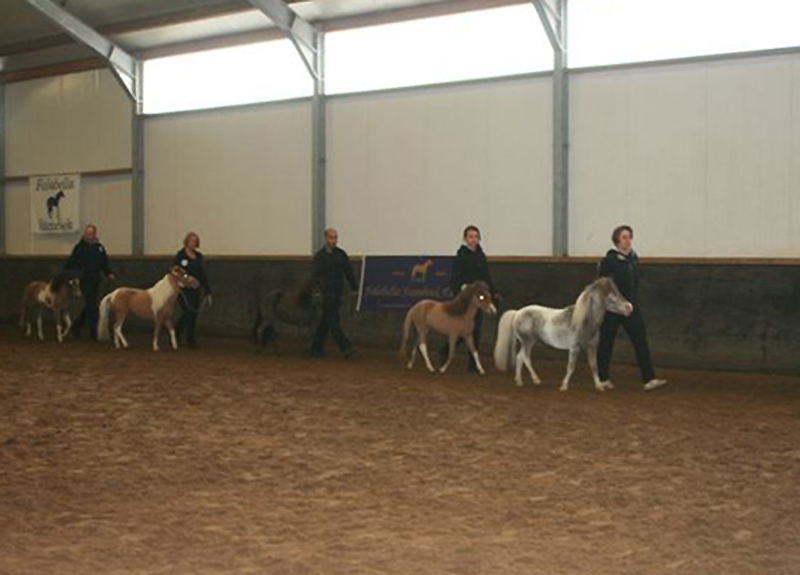 Falabella Europe Mare and Filly Inspection Show Holland 2013. 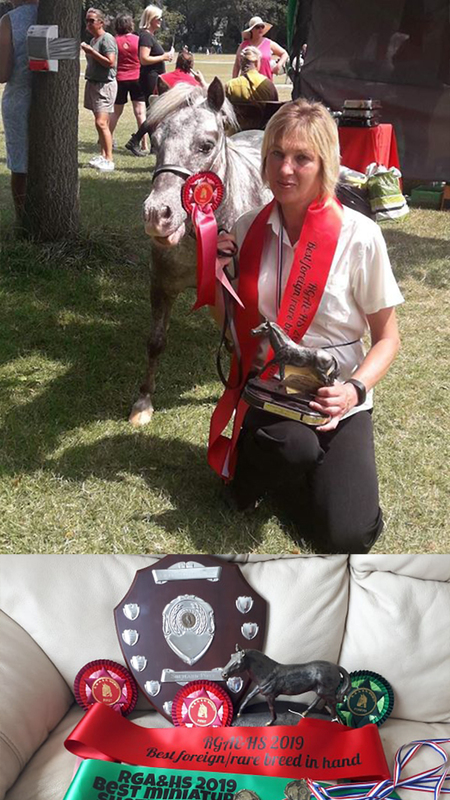 Rzadkiewa F. Olympia (by Fuente del Charco ex Equuleus Odetta) wins 'the most beautiful appaloosa' award and Rzadkiewa F. Isabella (by Hobbyhorse Fabio x Rzadkiewa F. Invita) wins 'first premium filly' award for their breeder/owner Sandra Radecke. 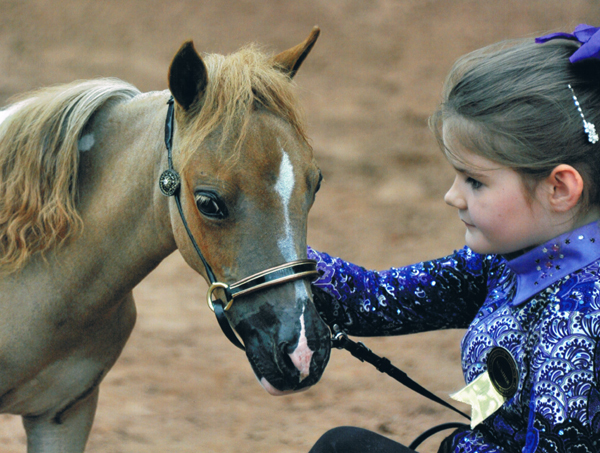 Kinsky Mini Vanilla Sky took the 'scaled down' show horse championship at Equifest. Congratulations to Ms. Sophie Mortimer. AEMHS Spring Show, May 2013. 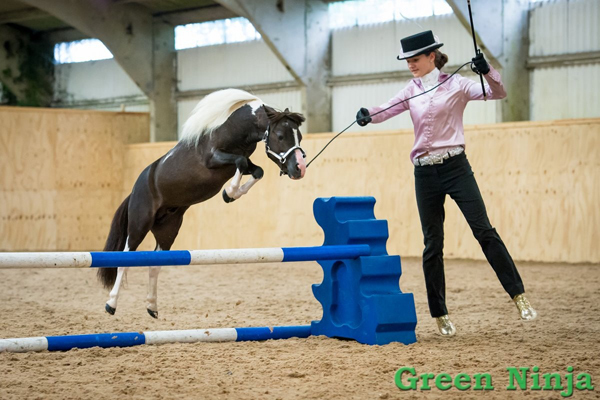 Attempting the World Record for miniature horse jumping, wins the puissance championship. 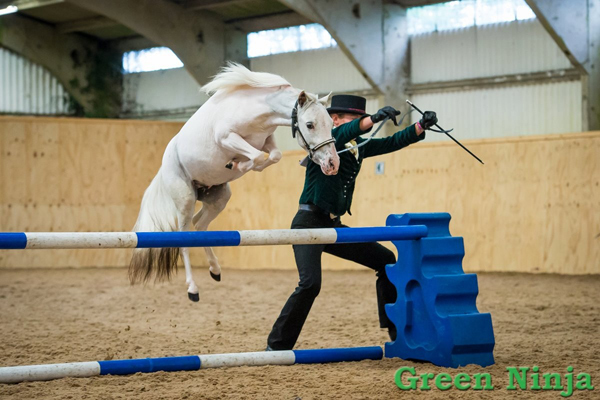 This horse is a great, great, great grandson of Falabella Al Graten see 'archive' and 'legend' pages. 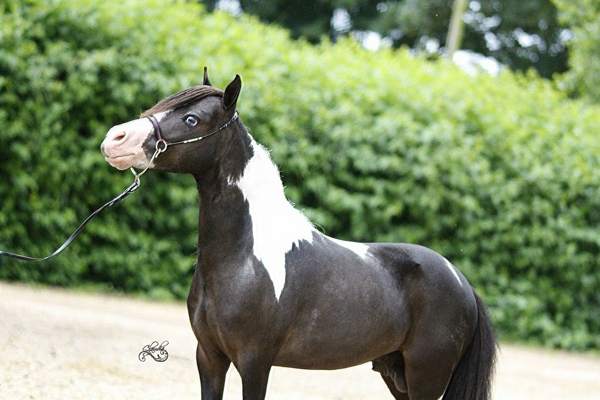 Falabella Europe Stallion Inspection Show Holland 2013. Hobbyhorse Fabio wins a gold medal in the Progeny class with four of his foals for Sandra Radecke. 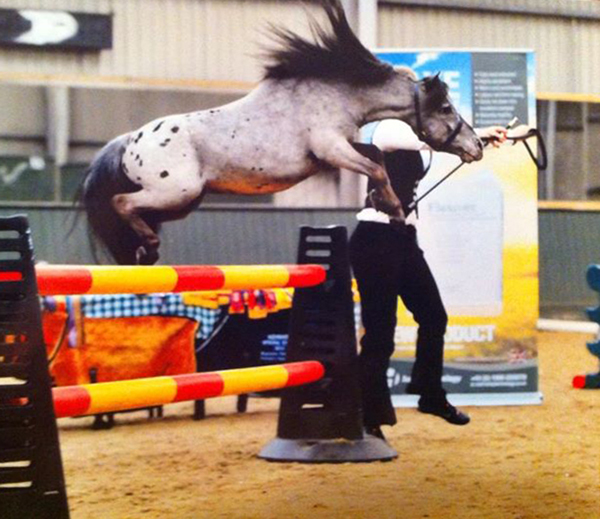 Fabio's parents (Falabella Trofeo and Falabella Binaria) were personally selected by Susan Eckholdt in Argentina. 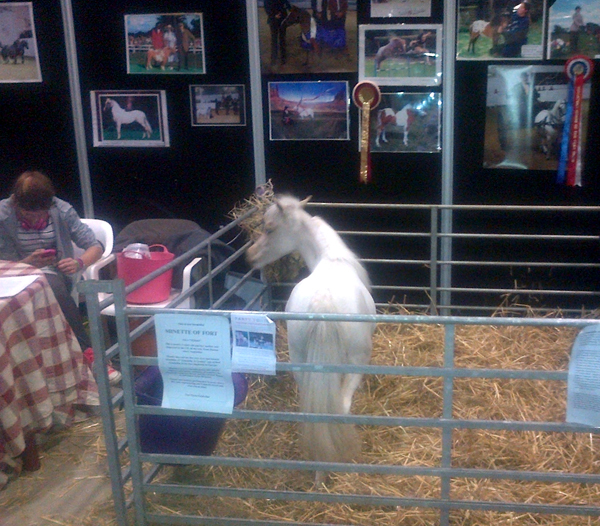 Fabio was sold shortly after his success at this show. 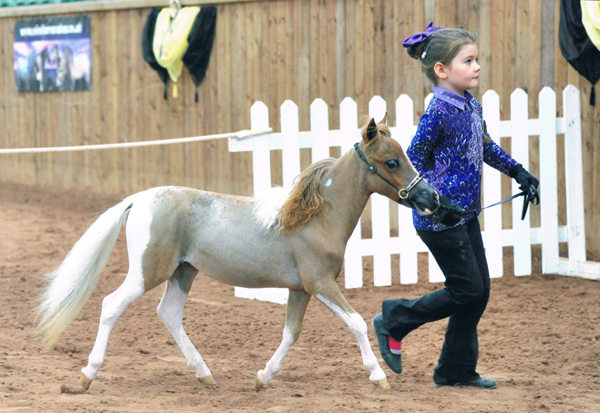 The Miniature Horse of the Year Show 2012. Casino, owned by Miss Beckie Bonfield, took 2nd place in 'Most Beautiful Head' shown by Miss Bojena Lewis. with her sister Bojena (10) coming 3rd with Casino of Fort. 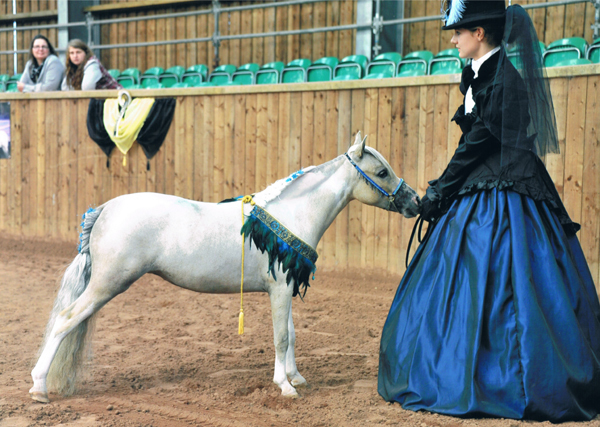 By Limelight's Milagro ex Charlotte of Kilverstone, was sold to the UAE shortly after his success at this Show. Shown by Rebecca Read . 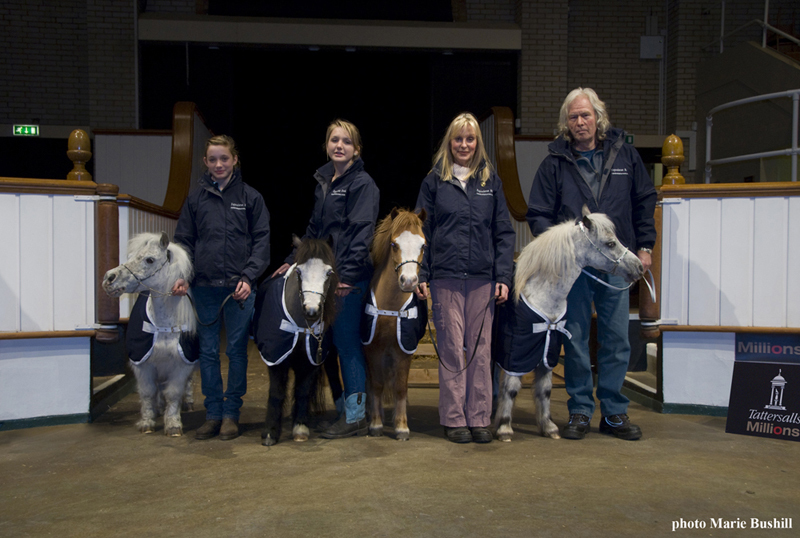 Tattersalls Christmas Charity Carol Concert 2011. 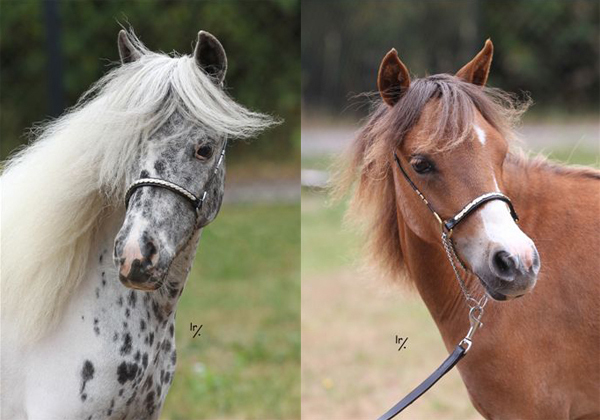 From left to right: Charlotte of Kilverstone, Limelight's That's Amore, Equuleus Jolene and Equuleus Jessica, all in their winter coats. please let us know and we may promote it on this page.